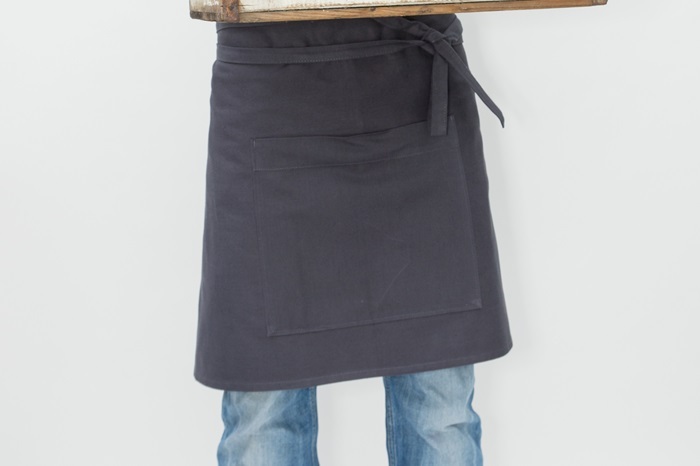 Beautiful short dark grey canvas apron, design by Bo Weevil. Made of supple 100% organic cotton canvas, GOTS certified. 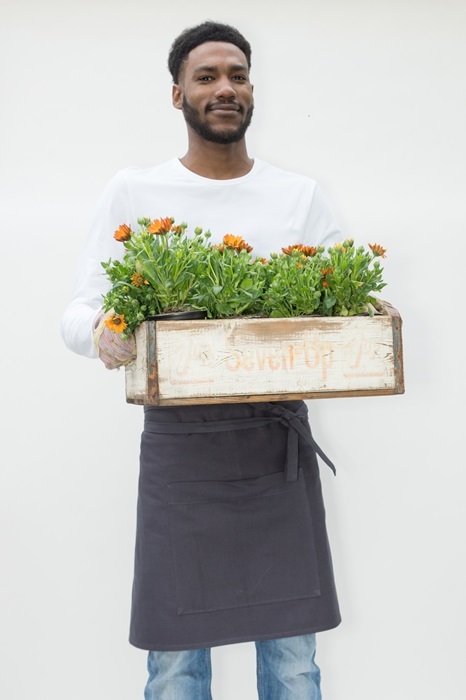 The apron is beautifully finished with a large pocket (28x25 cm) on the front. 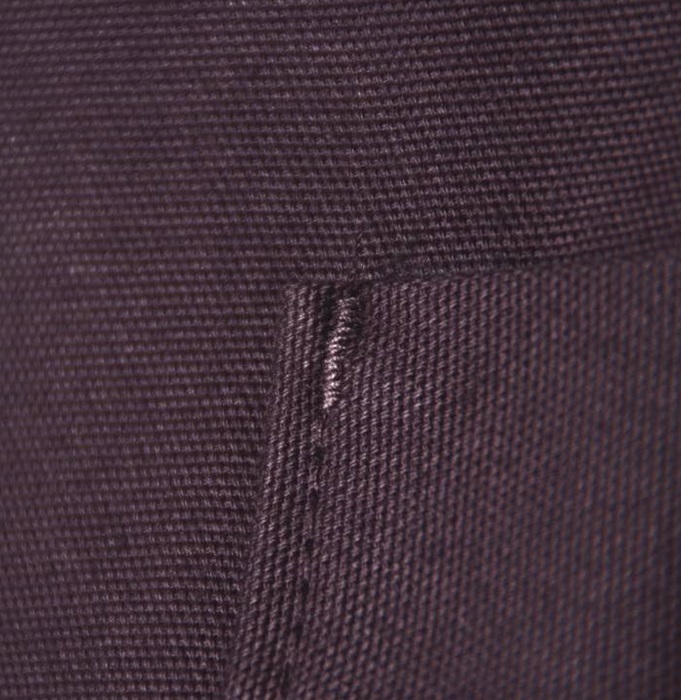 The corners of this pocket are strengthened with a bar tack. The length of the apron is 50 cm, the width is 90 cm. The apron can be washed. Besides, the fabric is also very suitable for printing. Produced in Turkey, GOTS certified. The cultivation of the cotton, and the dyeing and processing of the fabric is done as environmentally friendly as possible. Do you need more than currently available at the website? Please send us an email with your request! We also sell this fabric per meter. The Anthracite canvas can be found here. Interested in larger amounts of this apron? These are available through Bo Weevil.